Great fun, adventure and unforgettable emotions! Ready for adventure? Our crew is waiting to take you on a cruise on the Vistula River. The royal city of Krakow is full of interesting and entertaining places. Sail and see picturesque landscapes or simply relax and take some carefree rest among the sound of waves. Get to know Krakow you haven’t known before. 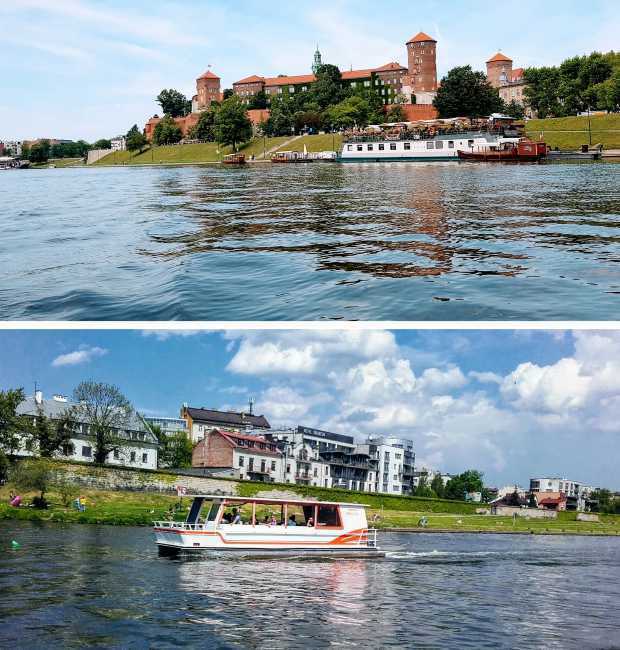 We have prepared attractive cruise routes on the Vistula River in Krakow which include the Old Town, the Wawel Castle, Kazimierz, the amazing castle in Przegorzały and the 15th century Hermitage in Bielany, and during the cruise from Krakow to Tyniec the Benedictine Abbey. An interesting idea for a successful bachelorette party in Krakow? Bachelor party or other party aboard a ship. Cruise under the stars is the perfect solution for a romantic date or an unusual way to meet friends. A school cruise is an unforgettable experience, but also an attractive trip, during which children will not be bored. 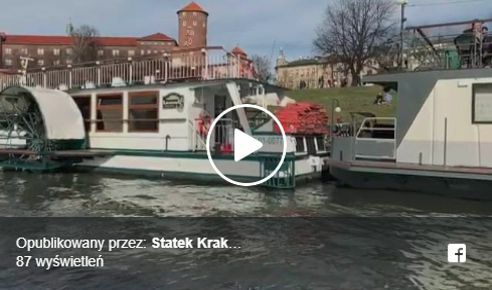 Each cruise starts from Arkadia barge (Barka Arkadia), which is moored right below the Wawel Castle, vis a vis Smocza Street. Parking is available on the street (note: parking rates within the Old Town Parking Zone are in force from Monday through Friday, from 8:00 am to 6:00 pm.). When traveling by bus/tram, hop off at the following stops: Wawel, Orzeszkowej (at the same side of the river) or Centrum Kongresowe ICE (across the river). 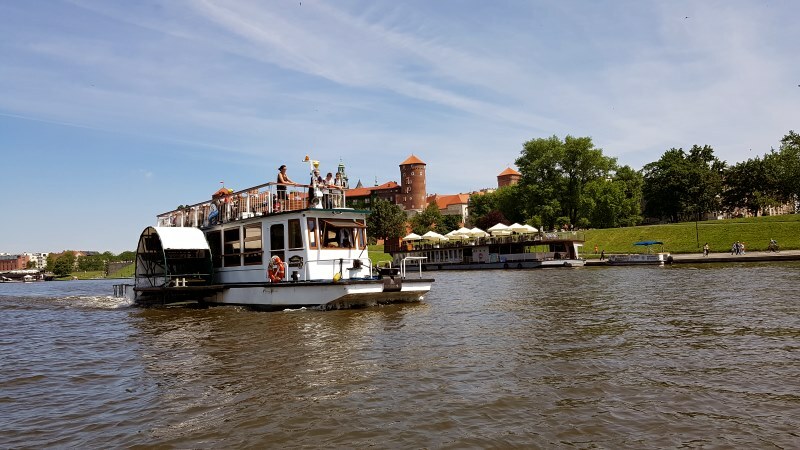 In AQUA FUN – CRUISES ON THE VISTULA RIVER, we love sailing, the sound of waves, the breath of brisk wind and sea shanties. We infect with love for ship, gondola and catamaran cruises, which allow you to explore Krakow in a new, attractive way and provide a wealth of impressions and emotions. 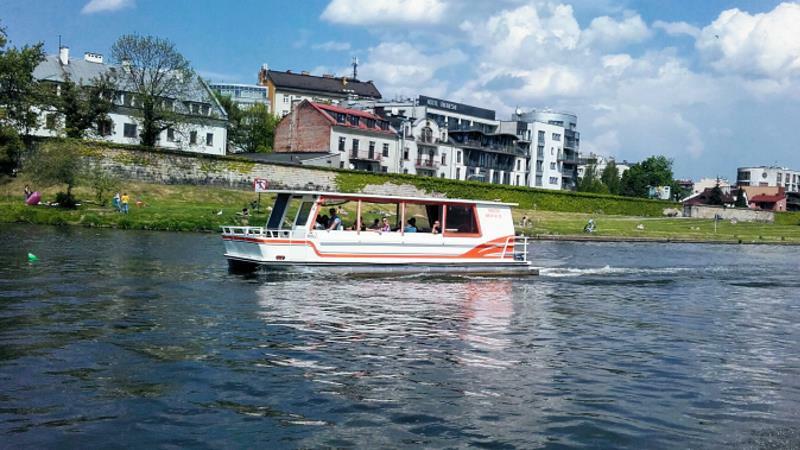 Since 2005, we have been dynamically operating in the inland waterway industry, organizing extremely interesting ship cruises on the Vistula River in Krakow and events on the ship for tourists and residents of Krakow which take place from March to November regardless of the weather’s whims. Our crew consists of people who have spent the majority of their professional life on board: qualified captains, boatmasters and seafarers, supported by specialists in the tourism industry, guides and gastronomy masters. We operate a fleet of a dozen vessels, each of which not only meets European security standards, technological solutions and comfort, but also is one of a kind. Our greatest reason to be proud is Poland’s only LEGEND sidewheeler and smaller vessels: stylized gondolas and luxurious catamarans. All units sail on the 20-kilometer, navigable section of the Vistula River from the picturesque Tyniec, through the historic centre of Krakow, to the “Dąbie” barrage. Diverse fleet and team combining experience in inland navigation and the latest trends in tourism allows us to organize not only traditional cruises around Krakow or Tyniec, for individual tourists and organized groups (cruises for schools, cruises for kindergartens), but also tailored corporate events , conferences, private parties, bachelor and bachelorette parties. Call and plan your cruise now.